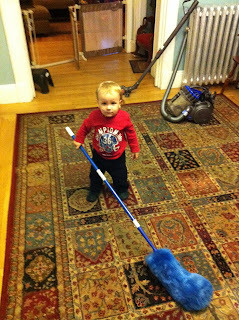 This weekend we spent cleaning and getting ready for Thanksgiving. Our dinner will be 21 people, so there is a lot to get done to get the house ready. Yesterday we tackled the living room- moved all the furniture, swept the floor, moped, vacuumed, even ran the curtains through the washing machine. Then we worked on the bathroom, scrapping, scrubbing, and moping. Today was the dining room, and I just did a quick wipe down of the kitchen- which will get a more intense work-over once the cooking begins. I love Thanksgiving and it makes me really happy to get our house ready to entertain. 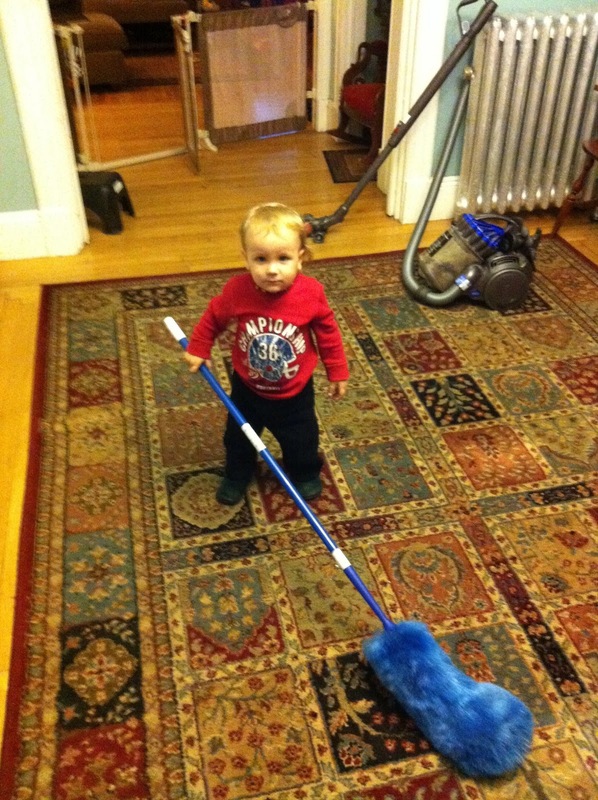 The munchkin seems to get a kick out of cleaning too... he is constantly trying to sweep the floors, he loves to wipe the table down after dinner, and today he was running all over the dining room dusting with the big duster. Time to go decompress after a very productive weekend. I even managed to get in a client meeting and some billable work this weekend. I'm exhausted!